Como el propio nombre indica, ordeno todo en un pispas, para cuando te des cuenta, estará todo ordenado. En menos tiempo de lo que crees. Experts in home organisation can help streamline and organise your home life. They provide bespoke storage solutions and strategies to ensure everything in your Etxebarri, Basque Country, Spain home has a place and you can live comfortably. Some can help you regain control of your entire house, while others specialise in specific areas, such as wardrobes, offices, paperwork and collections. They also provide coaching so that you can maintain your new organised space. Find a wardrobe, storage and organisation expert on Houzz. 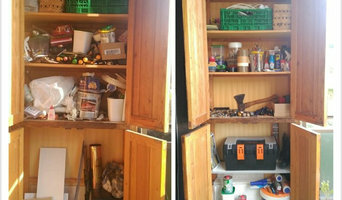 Scroll through this page to find Etxebarri, Basque Country, Spain professionals who can design and install storage solutions, as well as provide home organisation services. You can browse their previous work, read reviews and see how other homeowners rate their customer service, product and expertise.